The NSF’s Office of International Science and Engineering has released an updated solicitation for the International Research Experiences for Students (IRES) program. IRES focuses on active research participation by U.S. students in high quality international research, education and professional development experiences in NSF-funded research areas. The updated solicitation can be found on the NSF website. The overarching, long-term goal of the IRES program is to enhance U.S. leadership in research and education, and to strengthen economic competitiveness through training the next generation of research leaders. The solicitation has three tracks, two of which are new to the program. Track I: IRES Sites projects engage a group of undergraduate and/or graduate students in active, high-quality collaborative research at an international site with mentorship from researchers at a host facility. IRES Sites must be organized around a coherent intellectual theme that may involve a single discipline or multiple disciplines funded by NSF. Track II (New): Advanced Studies Institutes (ASI) are intensive short courses with related activities that engage advanced graduate students in active learning and research. ASIs typically range in length from ten to 21 days and must be held outside the United States. ASIs must have a compelling rationale for their international location and should involve U.S. and foreign researchers. ASIs enable students to develop skills and broaden professional networks, leveraging international participation and complementary resources. Track III (New): New Concepts in International Graduate Experience projects propose, implement and evaluate creative ideas for catalyzing the development of globally engaged U.S. scientists and engineers at the graduate student level. Professional societies and organizations in the U.S. are invited to propose innovative large-scale programs to provide high-quality international research and professional development experiences for U.S. graduate students. This week, NSF-funded research was on display on Capitol Hill for “The Arc of Science: Research to Results” event. 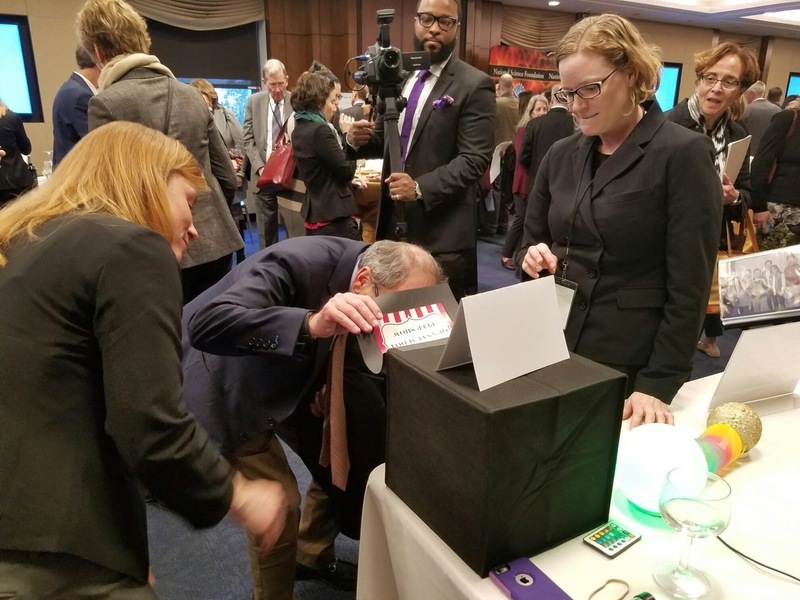 Scientists whose work provides insights, products, or services to American citizens, businesses, and government interacted with congresspeople, congressional staffers, and representatives from various sectors of the economy, including health care, education, and industry. Guests enjoyed hands-on demonstrations of technologies directly stemming from NSF-funded research. Attendees learned about BIO-funded research at the exhibit, “QSTORM: Achieving Pinpoint Surveillance Capacity Inside Living Cells.” The Principal Investigator, Dr. Jessica Winter (Ohio State University) and colleagues from the Museum of Science Boston showed how NSF is supporting teams of scientists and engineers to come together to tackle one of the last frontiers of microscopy – obtaining detailed images of the inner workings of living cells. The researchers explained to attendees how new breakthroughs in nanotechnology, chemical engineering, optics, and computer programming are allowing them to address this challenge. Visitors to the exhibit had the opportunity to “turn on” a real set of amazingly bright and colorful quantum dots–the researchers use these to illuminate the tiniest features inside cells. Then, using a styrofoam and slinky model, the team demonstrated how they “turn off” a quantum dot using a gold nanoparticle tethered by a strand of DNA. Attendees learned how STORM super-resolution microscopy can reconstruct detailed images from overlays of pinpoint dots of light. The QSTORM project, originally funded in 2010, has since received a second grant from NSF to work on implementing new imaging techniques made possible by the original science and to help establish partnerships which otherwise may not have come to be. Dr. Winter is working with the Museum of Science Boston to develop several hands-on demonstrations to explain the science of quantum dots to a broader audience. The Arc of Science event was coordinated by the National Science Foundation and the Coalition for National Science Funding. Invited speakers included NSF Director Dr. France A. Córdova, Congressman Lamar Smith (R-TX), Congresswoman Eddie Bernice Johnson (D-TX), and Senator Gary Peters (D-MI). To see additional highlights from the event, look for Tweets from @NSF with the hashtag #ArcOfScience. 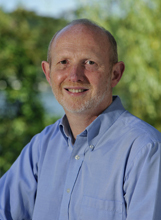 On November 8, 2016, the NSF’s Assistant Director for Biological Sciences, Dr. Jim Olds, presented to the National Science Board an overview of the BIO Directorate’s research and infrastructure investments. This is a brief summary of his major talking points. The NSF provides approximately 68 percent of federal support for basic research in biological sciences (not including support from the National Institutes of Health). One of the ways in which NSF ensures that basic biology achieves downstream impacts is through partnerships with other agencies, in the U.S. and internationally, and public-private partnerships; for example, with the USDA, NIH, BBSRC, Bill and Melinda Gates Foundation and others. The research supported by BIO’s Divisions crosses scales of size, space, time, and complexity. The total FY2017 budget request for BIO is $791 million, which is about 1/10th of the NSF’s total request. Part of the FY2017 budget request includes funds to support research across the Directorate related to the “Rules of Life” framing device which includes, but is not limited to, research focused on: the relationship between genes, the environment, and phenotype; plant and microbial sciences (microbiomes); synthetic biology; the origins of life; as well as support for quantitative, interdisciplinary approaches and resources for training and early career science. Support for projects that involve sophisticated modeling and theory development are seen as opportunities for partnerships with other NSF Directorates. BIO’s “Rules of Life” framing device contributed to the development of the Ten Big Ideas for Future NSF Investments, specifically the “Predicting Phenotype” research challenge. Among the biggest gaps in our biological knowledge is how to predict the phenotype of a cell or organism from what we know about the genome and environment. The traits of an organism are emergent properties of multiple types of information process across multiple scales. Unpacking phenotypic complexity will require convergence across biology, computer science, mathematics, the physical sciences, behavioral sciences, and engineering. Some recent awards made by the BIO Directorate support research across scales, for example the MacroSystems Biology and Early NEON Science program awards. Examples of projects funded by this program include research on forest function from genes to canopies, plant-pollinator-pathogen networks, and modeling of invasion dynamics across scales. More than a dozen initiatives constitute the “Major Investments” of BIO’s FY2017 request. Among these are Understanding the Brain, Clean Energy Technology, Microbiome, and support for training and education. The FY2017 request for BIO’s portion of the NSF’s Understanding the Brain initiative is $46 million which includes $19.54 million for BRAIN Initiative activities. Understanding the Brain is a cross-Directorate initiative; for BIO, funding may support team-based science, mapping circuits, connecting function to behavior, and support for data, infrastructure, and tool development. This opens the door for diverse partnerships. In September 2016, the NSF provided support, with The Kavli Foundation and Columbia University, for the Coordinating Global Brain Projects conference hosted by The Rockefeller University, and the NSF is co-sponsoring the upcoming workshop, Comparative Principles of Brain Architecture and Functions, with the Japan Agency for Medical Research and Development (AMED) at UC San Diego. A new BIO program, Next Generation Network for Neuroscience (NeuroNex), will fund research with the goals of: developing theoretical frameworks for understanding brain function across organizational levels, scales of analysis, and/or a wider range of species; and the development and dissemination of innovative research resources, instrumentation and neurotechnology. We anticipate this portfolio will be transformative, integrative, and synergistic. Support for clean energy technology-related research will involve funding for enhancing photosynthesis, for systems and synthetic biology, for bioinspired-design of proteins, for exploring the metabolic and energetic potential of living organisms, and for modeling environmental impacts, as well as impacts on genome stability, fitness, and phenotype. BIO’s investments in studying microbiomes will focus on the role of microbes in plant and animal function, productivity, health and resilience to environmental change, as well as microbes’ role in soil and marine ecosystems. Partnerships with USDA’s National Institute of Food and Agriculture have already led to support for research on plant biotic interactions, as well as research to develop and enable breakthrough technologies for animal and plant phenomics and microbiomes. In BIO’s FY2017 budget request, approximately $43 million is designated for programs that will enhance training and education, provide support for early career researchers, and broaden participation. BIO will continue participation in NSF INCLUDES, ADVANCE, CAREER, and Improving Undergraduate STEM Education. In addition, BIO will provide new opportunities for research traineeships (details to come!). It is also important to think about how we track students who are supported by BIO funding along their career trajectory and this will be a topic of discussion throughout the Directorate in 2017. The Biological Science Directorate also recognizes how critical research resources (infrastructure), centers, observatories, networks, and support for data science are to the success of basic scientific research. CyVerse (was iPlant) integrates many aspects of data science, including providing key infrastructure for data management and analysis. This resource democratizes access to high-throughput computing. Continued investment in cyberinfrastructure would be congruent with some of the Ten Big Ideas for Future NSF Investments and would provide an avenue for BIO to continue to engage with partners in other NSF Directorates. The NSF recently announced awards for four new Science and Technology Centers – the Center for Cellular Construction is BIO-managed and will allow for the development and use of tools for controlling cell trajectories across the phenotypic landscape, which is important for understanding, for example, how cells become malignant.